Approximately 7 percent of the world’s population has some kind of hearing loss. The majority are born with normal hearing, becoming deaf later in life. About 2 to 3 out of every 1,000 children are born with a detectable level of hearing loss in one or both ears. Edublox clinics offer multisensory cognitive training, aimed at developing and automatising the foundational skills of reading, spelling, Mathematics and the learning of subjects such as History and Geography. 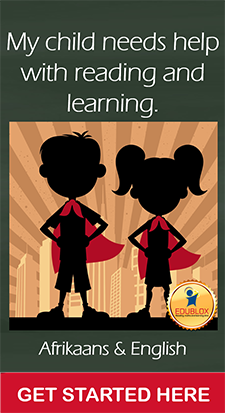 Edublox has a long history of improving the learning and literacy abilities of deaf children. Already in 1987 Dr Wynand de Wet did his practical research for a Master’s degree in Educational Psychology at a school for the deaf. The subject of his research project concerned the optimization of intelligence. 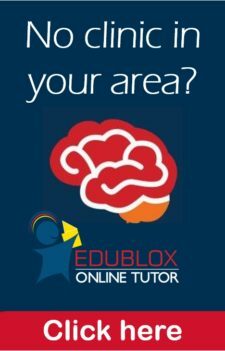 The group who did Edublox (then called Audiblox) were tutored simultaneously for 27.5 hours between April and August of that year, and showed an increase of 11.625 in non-verbal IQ scores, from an average of 101.125 to an average of 112.75. The group who did not receive cognitive training showed an increase of 4.625, from an average of 104.25 to an average of 108.875. In a later research study, headed by Dr Annalene van Staden at the University of the Free State, sign language strategies were combined with an Edublox program to facilitate literacy. Learning to read and write can be readily identified as the most difficult challenges for deaf learners. In practice, there are contradictory viewpoints regarding the use of auditory or visual techniques to enhance the teaching of deaf learners. The aural-oral approach, which aims to build literacy skills through the ‘phonological route’ (i.e. the pathway to literacy, which is based on the analysis of sounds), is still followed in some schools for the deaf in South Africa. South African sign language as a medium of instruction is used in other schools for the deaf in South Africa. Sign language is a visual-gestural language and since most deaf learners have a preference for the visual coding of stimuli, one can assume that they will benefit from visual literacy programmes. The study headed by Van Staden combined sign language strategies with an Edublox program focusing on visual processing, visual imaging and visual memory to improve the reading and spelling abilities of deaf learners. Participants were 60 deaf learners in grade 1 to grade 3. Participants were randomly assigned to an experimental and a control group. There were no significant differences between the two groups in terms of age, non-verbal IQ, word recognition and spelling abilities. Marj Arslanian, an Edublox Master Trainer, provided Edublox training to the teachers who would present the year-long, four-times per week literacy program to the experimental group for 45 minutes at a time. The learners in the control group received usual classroom instruction. De Wet, W. (1989). The Optimization of Intelligence Actualization by Using Audiblox. M.Ed. (Psychology) Thesis: University of Pretoria. Van Staden, A., Badenhorst, M.G. & Esterhuyse, K.G. F. (2008). Die ontwikkeling en evaluering van ’n visuele geletterdheidsprogram vir dowe grondslagfase-leerders met lees- en spellingagterstande. Journal for Language Teaching, 42(1):49-63.